Features on the refining ability,The electric arc furnace has stronger ability in dephosphorization desulfuration and deoxidation than induction furnace. The slag in induction furnace is cold; furnace slag temperature is maintained by molten steel. Electric arc furnace has the hot slag that is heated by electric arc furnace, the dephosphorization desulfuration can be completed by furnace slag that also will be sufficiently expansion for deoxidation. 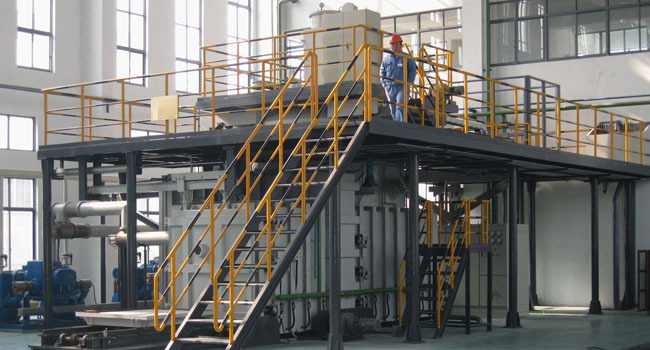 Therefore, the ability of being dephosphorized, desulfured and deoxidized is better than induction furnace. Also the nitrogen content in electric arc furnace steelmaking is higher than induction furnace, because nitrogen molecule in the electric arc high temperature is ionized to atom that will be absorbed by molten steel. Nitrogen content in induction furnace is lower than electric arc furnace in alloy smelting, oxygen content is higher than electric arc furnace; alloy quick life value is higher than electric arc furnace. Alloy element smelting in induction furnace has high metal recovery rate than electric arc furnace, the element volatilization and oxidation loss under the electric arc is big. Alloy element smelting burn out ratio in induction furnace is lower than electric arc furnace, especially burn out ratio that alloy element of return scrap charged in vacuum furnace , electric arc furnace is higher than induction furnace.